A broken bone may not sound serious, but if you are an older man or woman, a hip fracture can be the start of many severe health problems. How dangerous is a broken hip in an older person, and what is the mortality rate after a hip fracture? A broken hip, also known as a hip fracture, can lead to serious disability, even death. How Dangerous Is a Broken Hip When You're Older? Falls have the dubious honor of being the top cause of injury and injury-related deaths in people older than 65. A fall can result in a major decline in independence; a person who has a hip fracture may no longer be able to live independently in the community and might have to move to residential care for greater assistance in day to day activities. According to a review of randomized controlled trials on hip fracture management, the mean 1-year mortality rate after hip fracture is 21 percent. This means four out of five elderly persons will survive the first year after a hip fracture. This rate of mortality has been basically unchanged since the 1980s while the mortality rates for other conditions have dropped substantially. Several studies have shown that the all-cause mortality rate doubles for elderly patients after a hip fracture. A 2017 study that followed over 122,000 people in the United States and Europe found the all-cause mortality rate was doubled over the course of over 12 years in those who had a hip fracture. The increase in mortality was greatest in the first year after the fracture, almost three times as high as expected for the general geriatric population. It diminished over time but remained at nearly twice what was expected after eight years or more. A 2011 paper published in the Journal of the American Medical Association (Internal Medicine) investigated a total of 5,580 older women over a period of almost 20 years for the Study of Osteoporotic Fractures (SOF). The mortality rate was double among the women who'd had a broken hip in the first year after injury. In other words, during the 12-month period after breaking their hip, those women had twice the risk of death, when compared with women of a similar age without a hip fracture. More than half the deaths occurred within the first three months after a break. Previous studies, such as a meta-analysis published in 2010 in the Annals of Internal Medicine, have shown an even higher rate of short-term mortality after a hip fracture. In this review of studies published between 1957 and 2009 (involving a total of 578,436 women and 154,276 men over the age of 50), researchers from Belgium and the United States found the risk of death in both men and women in the three months after a hip fracture to be between five and eight times higher. While the greater risk of death diminished two years after the fracture, mortality rates remained higher than those for older people who'd never broken a hip, even after 10 years of follow-up. Excess mortality was higher among men than women in this review. What do patients die from after a hip fracture? The 2011 study found that when compared with controls of similar ages, a greater number of women died of pneumonia and cognitive disorders. In the Annals of Internal Medicine analysis, a number of causes of short-term mortality were suggested, including problems that can occur after surgery (such as pulmonary embolism, infection, and heart failure). In addition, health problems that could have led to the fall in the first place —such as dementia, chronic obstructive pulmonary disease (COPD), and cardiovascular disease—are also cited as contributors to the increased mortality. The researchers note that generally speaking, people who break a hip are more functionally impaired before the fracture when compared with those who do not have a fracture. While age is a major risk factor for falls, a person who is healthy and fit may be considered to have a lower chronological age, leaving them less susceptible to falls and fractures. 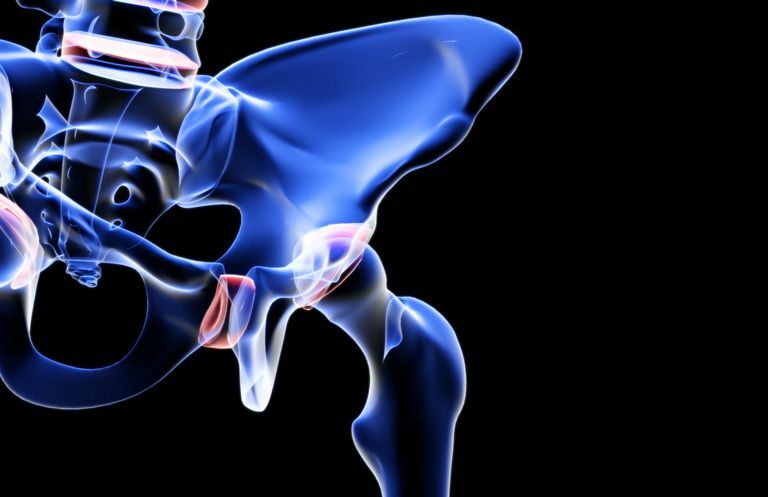 Hip fractures represent a major health cost in terms of treating the victims. In the United States, about 300,000 people experience a hip fracture each year. In Canada, approximately 27,000 older people break a hip each year, with the cost of treatment estimated at more than $1 billion. Research continues into how best to prevent falls that cause fractures, including a better design of assistive devices such as walkers, softer flooring materials in nursing homes, and targeted occupational and physical therapy to boost balance and strength. Katsoulis M, Benetou V, Karapetyan T, et al. Excess mortality after hip fracture in elderly persons from Europe and the USA: the CHANCES project. Journal of Internal Medicine. 2017;281(3):300-310. doi:10.1111/joim.12586. Leblanc ES. Hip Fracture and Increased Short-term but Not Long-term Mortality in Healthy Older Women. Archives of Internal Medicine. 2011;171(20):1831. doi:10.1001/archinternmed.2011.447. Mundi S, Pindiprolu B, Simunovic N, Bhandari M. Similar mortality rates in hip fracture patients over the past 31 years: A systematic review of RCTs. Acta Orthopaedica. 2014;85(1):54-59. doi:10.3109/17453674.2013.878831.